Vermont pays people to move there. It looks like it’s working. 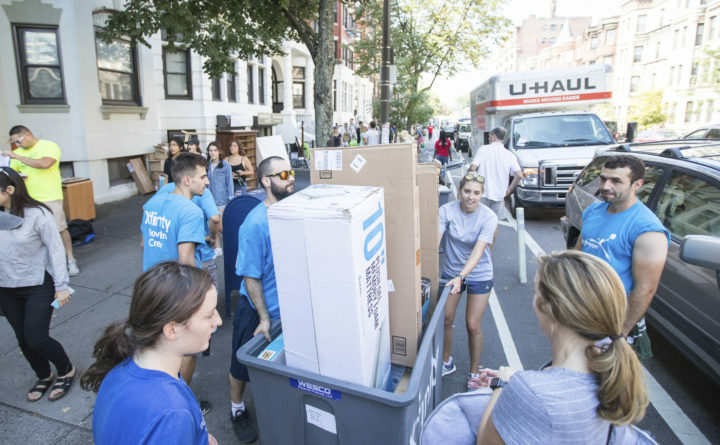 Moving into Boston in September 2018. Most New England states, including Maine, are seeing an outflow of people, but Vermont topped the charts nationwide on the number of new people entering the state last year, the annual survey by moving company United Van Lines showed. Vermont defied the influx of most Americans to western and southern states, with 234 total moves. The state signed a bill last June that would grant $10,000 each to the first 100 people moving to the state for the first three years starting on or after Jan. 1, 2019. The aim was to stem the pressure on the workforce from the aging population and outflow of citizens by attracting people who wanted to work from home. The state had more than 1,800 inquiries in the first month, according to CBS News. The study found most people moving to Vermont were doing so for jobs or retirement, followed by family, lifestyle and health. The total inbound migration in Vermont was close to 73 percent compared to Maine’s 49 percent. Reasons people gave for moving to Maine included retirement or family, followed by job, lifestyle and health. At 68 percent, New Jersey had the highest outbound population. The primary reason for leaving was a new job. Maine came in third, behind No. 1 Vermont and Montana, in the number of craft breweries per capita and the economic impact of those breweries, a C&R research report showed. Maine had 9.6 breweries per person last year that yielded $471 per capita in economic impact. It followed top seed Vermont at 11.5 breweries per person and $667 per capita in economic impact. Montana came in second with 9.6 breweries per capita and $549 in per capita economic impact. New Jersey and Kentucky showed the highest growth in craft breweries nationwide, with each state up 43 percent since 2015. Ocean Approved, a Saco-based company that sells fresh and frozen kelp, has sold most of a $1.37 million equity fundraise. The company raised $1.34 million, according to a document filed with the U.S. Securities and Exchange Commission. Started in 2006, the company farms kelp. It harvests from its own farms and the farms of nine fishermen along the Maine coast.